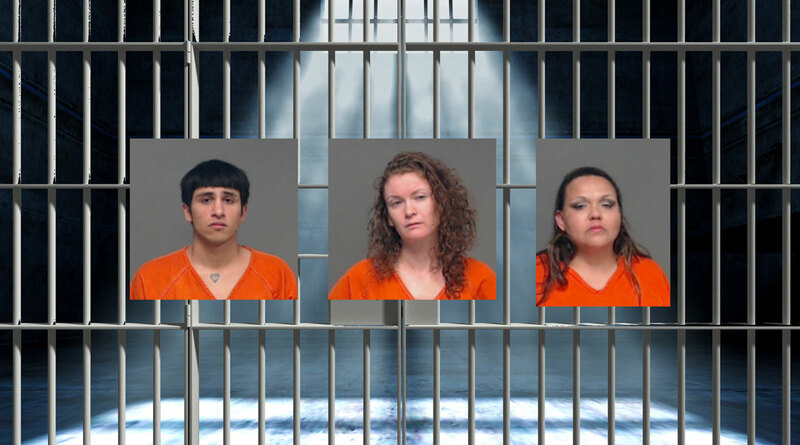 SAN ANGELO, TX – Tom Green County Sheriff's Office and San Angelo Police Department arrested and booked 10 people into the Tom Green County Jail on Thursday. Individuals were arrested for tampering with evidence, speeding, and public intoxication. A trend on this report are the violent crimes such as assault and aggravated robbery. Adelaida Martinez was arrested for possession of a controlled substance and tampering with physical evidence at 2:23 a.m. Her bond is set at $17,500. Aren Aguirre was arrested for speeding at 4:00 a.m. His bond was set at $972 and was released at 5:43 a.m.
William Hall was arrested for public intoxication and criminal trespassing at 5:39 a.m. His bond was set at $942 and was released at 12:13 p.m.
Demetria Rodriguez was arrested for failure to identify by giving false information at 12:38 p.m. Her bond was set at $500 and was released at 2:58 p.m.
Robert Mata was arrested for theft of a service over $100 at 3:47 p.m. His bond has not been set at this time. Juan Gomez was arrested for aggravated robbery at 5:23 p.m. His bond is set at $101,000. Ranci Boone was arrested for violation of fond at 5:46 p.m. Her bond has not been set at this time. NIcole Clauson was arrested for public intoxication at 6:12 p.m. Her bond was set at $442 and was released at 2:58 a.m.
Uriel Barrientos was arrested for driving while license invalid with a previous suspension at 6:22 p.m. His bond is set at $500 and was released at 8:58 p.m.
Stephanie Gutierrez was arrested for assault that caused bodily injury and assault that caused bodily injury to a family member at 7:40 p.m. She was released without bond at 8:58 p.m.
Joe Reyes was arrested for burglary of a building, resisting arrest, and failure to identify as a fugitive from justice at 9:02 p.m. His bond is set at $1,000. Glenn Ramos was arrested for driving while license invalid with a previous suspension at 9:43 p.m. His bond was set at $500 and was released Friday at 2:13 a.m.
Christopher Anderson was arrested for assault that caused bodily injury to a family member and resisting arrest at 10:55 p.m. His bond is set at $500.